Budget-friendly online foam mattresses are HOT right now—and for good reason! Foam mattresses provide great comfort, support, and lasting durability at a fraction of the cost of many traditional in-store mattresses. This mattress match-up compares the Leesa mattress to Brooklyn Bedding. Both of these mattresses achieve high rankings for being balanced, budget-friendly foam mattresses, but which one is the best? Follow along as we break apart these two mighty contenders to try to select a winner. Let’s get started! Is the suspense too much? Click here to skip the details and jump right to the summary! Enjoy 20% off your order with our exclusive discount! The Leesa mattress is 10” thick and uses a 3-layer foam construction for a balanced feel. Top layer (comfort & cooling) – 2” of Avena foam, a proprietary blend that has a latex-like feel. It is convoluted for additional cooling and air circulation. This foam provides a faster response time than mattresses with traditional memory foam as the top layer. This layer has a density of 3.6 PCF (pounds per cubic foot). Middle layer (support & contour) – 2″ of memory foam. This layer gives some pressure relief, provides deep compression, and body contouring. This layer has a density of 3.0 PCF. Bottom layer (support & foundation) – 6” of high-density support foam. This base layer of foam is the firmest of the three, designed to provide support and structure to the entirety of the mattress. This layer has a density of 1.8 PCF. The Brooklyn Bedding mattress is 10” thick and also uses a 3-layer construction. Like the Leesa, Brooklyn Bedding also uses a responsive poly foam (like latex) called TitanFlex. 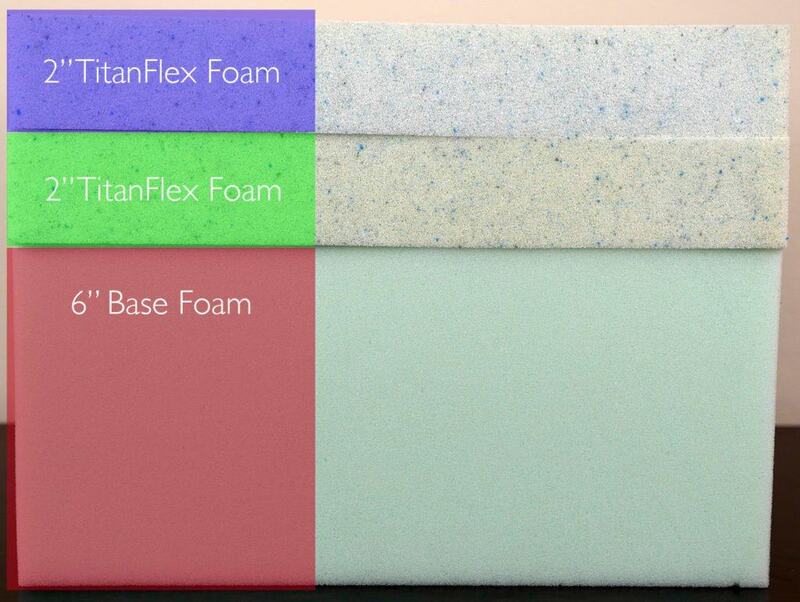 Top layer (comfort) – 2” of TitanFlex foam. This foam is responsive and provides nice cooling, bounce, and comfort. This layer has a density of 4.0 PCF (pounds per cubic foot). Middle layer (support & contour) – 2″ of TitanFlex foam. This layer also uses the TitanFlex foam, but it is a bit firmer. While it has a lot of the qualities of the layer above, the added firmness also gives it a bit more support and deep compression. This layer has a density of 4.0 PCF. Bottom layer (support & foundation) – 6” of high-density support foam. The bottom layer is a support foam that helps the mattress retain its shape and provides support to the layers above. 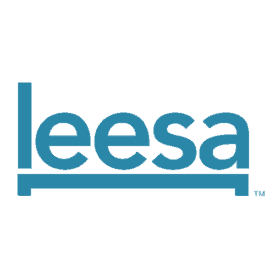 This layer has a density of 1.8 PCF. The cover on the Leesa is a thin cover made from a blend of polyester and Lycra. Cut from a single piece of fabric with no middle seams, the cover is breathable and offers a snug fit. As far as appearances go, it is light gray with the classic white 4-bar design toward the foot of the mattress. The cover on Brooklyn Bedding is a quilted cotton polyester blend. The cover is plush and the core of the cover is quilted with 0.75” of poly foam to give the top even more softness. Softness aside, the cotton material keeps this cover breathable. The cover is white with navy blue side panels and has handles for easy transportation. The Leesa has a true medium feel—about a 6 out of 10 on the firmness scale (where 10 is the most firm). This select firmness is within the range that many sleepers find comfortable, a “universal comfort” level. 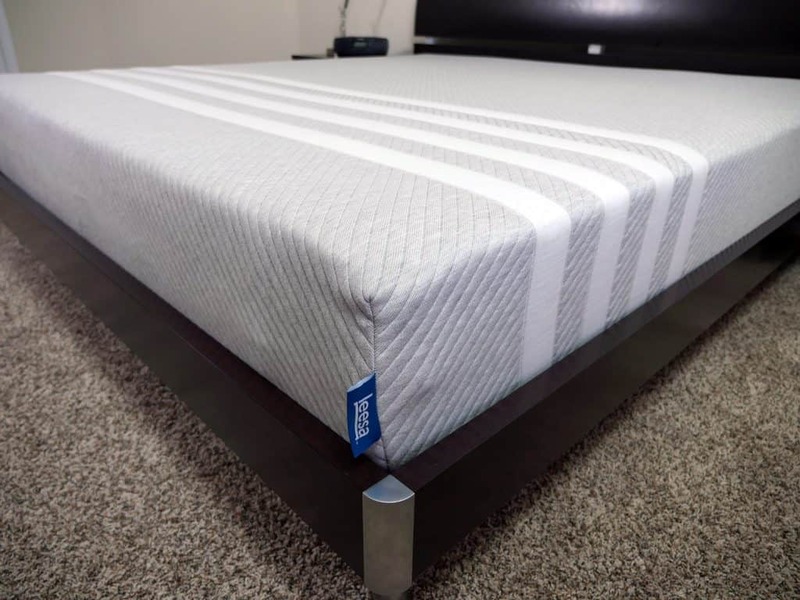 GUIDE: What mattress firmness do I need? The feel of the Leesa mattress is extremely balanced. When a sleeper first lies on the Leesa, the Avena foam provides great cooling and bounce with a moderate amount of sinkage. Then, the mattress begins to contour and provide a bit of deep compression and pressure relief, a result of the middle layer of memory foam. 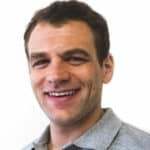 The materials work together so that the sleeper does not get overly enveloped by the memory foam or have too much bounce and responsiveness from the Avena foam. Regarding support, the Leesa again does a nice job. The Leesa is capable of supporting sleepers up to 300 pounds. The 4” comfort foam (2” of Avena + 2” memory) is thick enough to provide sufficient support for the majority of sleepers. This mattress is generally comfortable for back sleepers, stomach sleepers, or side sleepers. For more information the Leesa’s feel and support dynamic please see my full Leesa mattress review. 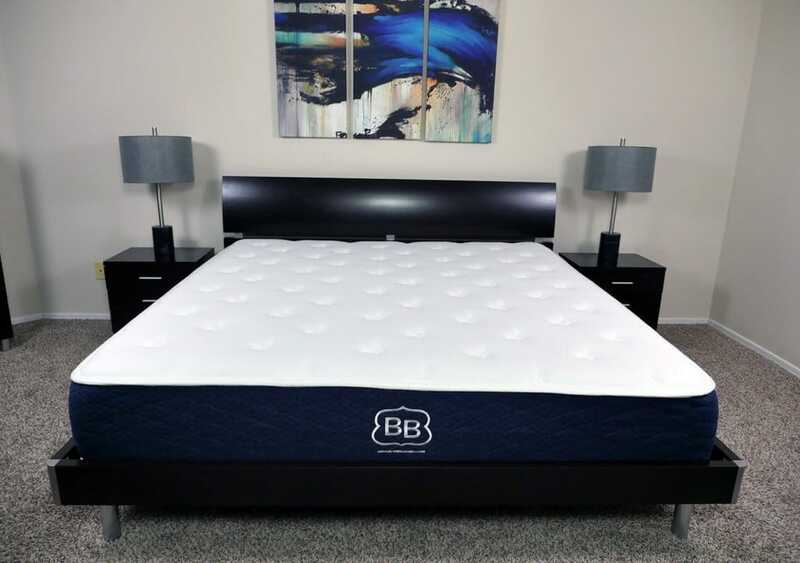 In comparison, the Brooklyn Bedding mattress offers three different firmnesses- soft (4 out of 10), medium (6 out of 10), and firm (8 out of 10). 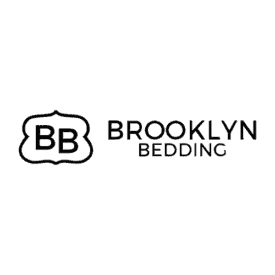 If you’re looking for a softer or firmer feel, Brooklyn Bedding may be the right choice for you. Brooklyn Bedding offers 3 levels of firmness. Soft, medium, and firm. Brooklyn Bedding uses TitanFlex foam, which to my knowledge, is proprietary to Brooklyn Bedding. TitanFlex performs similar to a latex, providing great bounce, resiliency, and responsiveness. 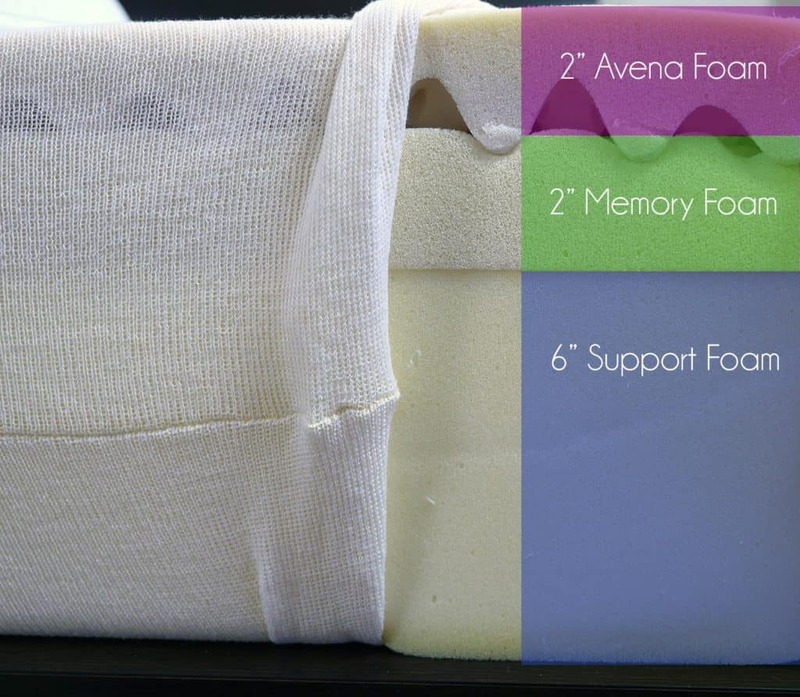 This type of foam helps prevent the “trapped” or “stuck” feeling that can be more common in all memory foam mattresses. As for support, the Brooklyn Bedding mattress performs very well. It uses 4” of TitanFlex foam, which helps provide comfort and support for heavier sleepers. The middle layer is a firmer version of the TitanFlex foam than the top layer. This extra firmness helps to provide additional support, as well as more easily transition sleepers into the more supportive and even firmer base support foam. For more information the Brooklyn Bedding’s feel and support dynamic please see my full Brooklyn Bedding mattress review. Shipping – Free shipping. Arrives in 4-10 days via UPS, compressed in a box. Shipping – Free shipping. Arrives in 4-6 days via Fedex, compressed in a box. Shipping Free shipping. Arrives in 4-10 days via UPS, compressed in a box. Free shipping. Arrives in 4-6 days via Fedex, compressed in a box. Should I buy the Leesa or Brooklyn Bedding mattress? In most of the mattress battles, I do have a clear-cut winner, but I must confess that this one was tough. Over the last few years I have tested over 100 different mattresses and both Leesa and Brooklyn Bedding both continue to be strong performers and two of the best value mattresses on the market. Both use a 4″ comfort foam, both strike a beautiful balanced feel, both manage cooling well, both have solid customer service, and both have found an excellent value-priced equilibrium. Because of this, I’m going to have to call this battle a draw. Continue reading the final summaries below to understand the subtle differences, and which choice may be best for you. Want a medium feel – The Leesa mattress has that medium feel of a 6 out of 10 on the firmness scale. This is a feel that a wide range of body types and sleeping positions all find to be comfortable. Want a balance of multiple types of foam – Leesa uses a blend of their Avena foam and memory foam to provide a mattress with a balanced feel. 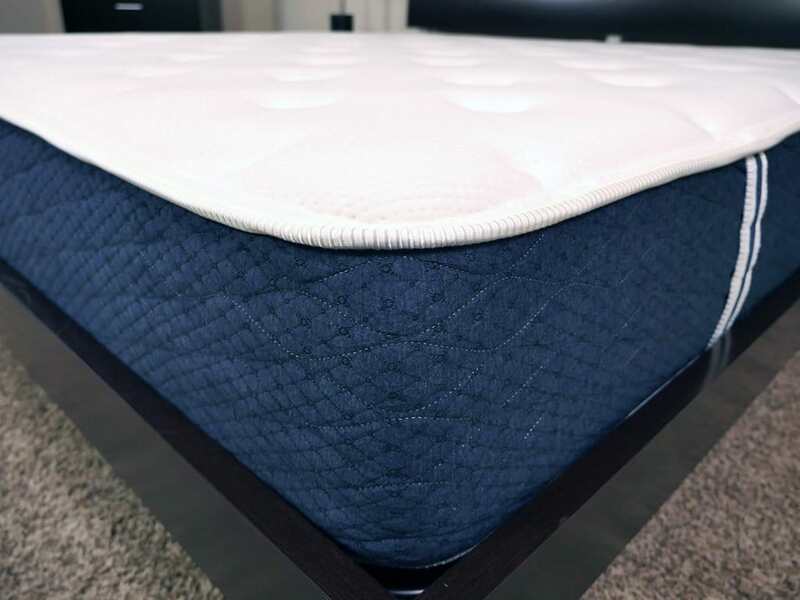 The Avena foam provides great cooling, responsiveness, and bounce while the memory foam provides contour, pressure relief, and deep compression support. For sleepers who ride the fence between memory foam and latex, this is a great compromise. Want a thin cover – For sleepers looking for that classic Tempurpedic feel, the Leesa really nails it with their soft, thin cover and dynamic use of foam. The cover is breathable while still allowing a moderate amount of hug and sinkage. Want a company that gives back – For every 10 mattresses that they sell, Leesa will donate one mattress. If community service is something you look for in a company, Leesa is one of the few companies I know of that give back at this high of a ratio. Want a soft, medium or firm feel – With three different firmness levels available, Brooklyn Bedding is an excellent option for sleepers looking for something besides a medium firmness. That being said, their medium firmness also provides a universal comfort type of a feel. Want something comparable to latex – Looking for something with great bounce, but don’t want classic innerspring or to pay the price for all-natural latex? Brooklyn Bedding does an excellent job of using their TitanFlex foam to emulate the feel of latex, at a fraction of the cost. Want a quilted cover – The cover of the Brooklyn Bedding mattress is a plush quilted cover that contains 0.75” of poly foam for an added softness. For sleepers looking for that classic quilted cover or the feel of a luxury hotel bed, this cover does a nice job of meeting those needs. Want a great value – At only $750 for a Queen size, it is extremely difficult to beat the value of the Brooklyn Bedding mattress. For a high quality, balanced mattress, this is a great mattress for your money.